Fans who visit the Jonathan B. Lovelace Hall of Honor at Auburn Arena take an interactive walk through Auburn athletics history. 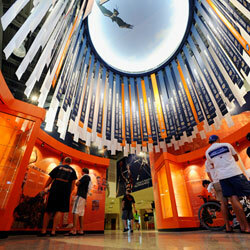 The museum features 17 interactive cases highlighting each sport at Auburn. LCD screens display images of past champions and historical moments, and artifacts in each case complement the stories told on the screens. The "Auburn Spirit Theater" boasts a 16-foot wide screen which features brief videos that tell the Auburn story. 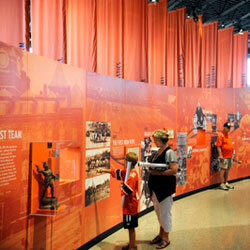 The museum is located on the concourse at the main entrance to Auburn Arena. For directions, visit the website.